If you want to find how the Hong Kong Chinese New Year weather is, you probably want to visit Hong Kong to experience the New Year atmosphere here. If that’s the case, I have something interesting to tell. Statistics indicates every three Chinese New Year (CNY), two of them fall on February. In the past ten years (2004-2013), there were 6 CNYs fall on February. Going through the internet, it’s easy to find some general information about Hong Kong weather in February, such as cool, dry, sunny, etc., easily accessed information that I don’t want to repeat here. But weather is sometimes predictable while sometimes not. The cool February here did have a record of 28C degrees in 2009. Dry February is also not true all the time. Chinese has a saying of ‘dry winter wet year’. If this is your first time hearing about this, let me explain a bit. December 21 is the Winter Solstice. 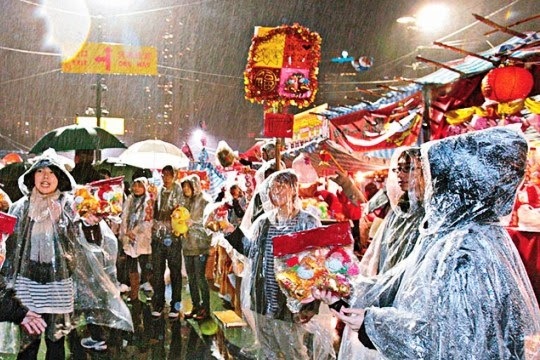 Chinese tradition weights Winter Solstice heavier than New Year, Hong Kong is no exception. Some companies even arrange for staff to finish work early in order to go home to prepare family dinner. Chinese believe if Winter Solstice has no rain, the upcoming Chinese New Year will rain. No one knows how this relationship is being established. One of the reasons could be due to its recurrence. While Winter Solstice is always December 21 (occasionally 22), Chinese New Year may be as early as January 22 (2004) or as late as February 20 (1984), the days between Winter Solstice and CNY ranges between 31 and 61 days. What has caused a relationship between a dry day in December and a wet day in the following year 31 to 61 days apart is something interesting to discuss. Let’s first of all define dry and wet. Let say dry means rainfall of less than 0.1mm; wet means rainfall of 0.1mm or more. Interestingly, over the past decade (2004-2013) were all "dry winters" in Hong Kong, and seven were sunny. However there were only four years of "wet year" and therefore "the dry winter and wet year" accuracy rate is only 40%; if we count in new year eve and the 2nd and 3rd day of CNY, the accuracy goes up to 60%. On climate science, Hong Kong in December by the cold and dry continental air, the higher the chance fine; began in January, warm and humid maritime airstream start to affect the south China coastal areas, the weather became cloudy with occasional fog, falls cold air southward, the two streams meet they form clouds and rain, so the "dry winters" and "wet years" is actually not directly related. Even so, ‘dry winter wet year’ did happen 5 years in a row (1992-1996). So how is the Hong Kong Chinese New Year weather like? Apart from cool, dry and sunny, it may rain due to the ‘dry winter wet year’ effect. 2013 winter was dry; 2014 CNY falls on Jan 31, which means Feb 1 is the second day of Chinese New Year. 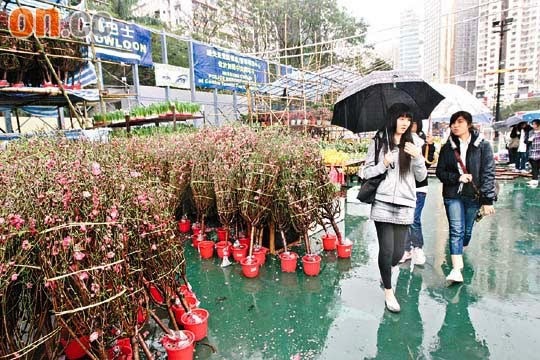 Considering the 60% accuracy of ‘dry winter wet year’, you’re on the safe side to visit Hong Kong with an umbrella, if you tend to come here to experience the Chinese New Year atmosphere.